Is it probable this will remain a PS4 exclusive? Probably, since every other Spider-Man focused game from the early 2000s on were PS exclusives. I imagine it's tied to Sony owning the feature film rights to the character. This. It may be that Sony yielding on the movie rights means they make more money on games, etc. I doubt they give that up. It's not so much that they yielded the rights is that they agreed to allow Disney to utilize the character in Marvel Studios films and they could borrow characters from those movies for Spider-Man movies. Considering all the name checking and easter eggs from other Marvel characters in this game, I wonder if a similar deal happened here and this game is part of a future Marvel Video Game Universe that'll share continuity with the forthcoming Avengers game. There is a specific comment when you take the landmark picture of Avengers tower about how "The avengers are never in town, last i heard they were somewhere on the west coast"
A backpack contains a business card for the law firm of Nelson and Murdoch, the latter Spidey calls "that blind attorney"
Oddly enough, I didn't find any Luke Cage references despite Harlem being a part of the game map. I loved the business card because the flavor text with it is "wait, if hes blind how did he know I was spider-man?" and yea, Hell's kitchen is slap full of Marvel's Netflix Universe references. The Rand Corporation headquarters is another landmark. I really love this game more than anything I've played in quite a while. After several long stints over the weekend, I am so sucked in to this game and love everything about it (okay, with the lone exception of the stealth sequences, but even those are mercifully brief and not that challenging, so they haven't bothered me much). I'm at 50% completion right now, probably mid-way through Act 2 (at least, I got a trophy for finishing Act 1 and haven't gotten an Act 2 trophy). Swinging is perfect. The combat is like a better version of the Batman Arkham combat, and I find trying to complete the optional combat objectives is a great way to keep things from getting too repetitive. The story has a great tone, light and positive and fun, with seriousness when needed. I love the depiction of Peter and MJ's relationship, and really appreciate the way MJ, like so many other characters in this game, is rendered to look like a relatively normal real person and not like the supermodel she is often portrayed as in the comics. I'm really impressed by the way, for every aspect of the way the game diverges from the comic's version of characters, they have made a change that makes things interesting and still fits with the themes and feelings that I like in Spider-Man: Otto Octavius, Norman Osborn, Mary Jane, and J Jonah Jameson are all in roles that I'm not familiar with them occupying in the comics, but it still feels like Spider-Man. (This is very different from my reaction to the Telltale Batman game's alternate take on Batman that I know worked for a lot of people but that I really disliked). Even the things that I've heard reviewers knock the game for, things that didn't sound good to me in reading about them, are really clicking with me: I really like the science mini-games! I like finding all the backpacks, Black Cat collectibles, chasing pigeons, etc.! I'm definitely planning to 100% this and go for the Platinum trophy, and if the first DLC comes out before Red Dead, I'll probably be getting all of the DLC. I'm just over the moon for this game. I'd been in a real video game rut lately, bouncing around from game to game, playing plenty of things I liked but nothing that really got to me in my soul. Watching Giant Bomb's Mass Effect playthrough, it made me very nostalgic for the feeling of getting swallowed up by my excitement for a game, so it has been awesome to find a game that connects with me on such a deep level. Yay video games. I managed to sneak in about 2 hours yesterday. The thing that has stuck out to me the most so far is the tone. It's both strange and refreshing to be playing a superhero action game that's so light-hearted and positive. I have already laughed out loud several times from Peter's goofy quips and J Jonah's podcast bits. Spidercop was great while it lasted. It's like Uncharted without the guns and betrayal. The web swinging and combat seem pretty good too. J. Jonah Jameson's assistant shares my name so it always sounds like triple-J is yelling at me. He would cut your pay in half, if he were paying you! It's the fastest selling game of the year. That's already impressive, but this article says that it doubled the first week sales of God of War. GoW sold over 3 million copies in its first week. It's crazy to think that Spiderman has already sold 6 million copies in just a week. I didn't read the article, but are those pre-orders as well. If so that makes more sense. Its a fantastic game and beautiful to look at. Add in that it has been a while since we had a quality Spider-game and the superhero renaissance that we are in and the pedigree of the developers...the stars just aligned. All of the Spider-Man games developed under Activision (Web of Shadows, Shattered Dimensions, Edge of Time, the movie adaptations, etc.) were all multiplatform across the DS, GameCube, Wii, Wii U, PSP, PS2, PS3, Xbox, and Xbox 360. This is the first Spider-Man game that's been an exclusive in a very, very long time. This one being a PlayStation exclusive doesn't have anything to do with Sony holding the film rights. It's because Sony is the publisher and hired Insomniac to make the game. Insomniac was given a slate of Marvel characters to choose from, and they chose to make a Spider-Man game. But Sony bankrolled the entire project, not Marvel, and not Insomniac. So yes, it's likely to remain a PlayStation exclusive forever. I just realized that I'm a dumb dumb because that article is only for UK sales data. It's probably not representative of worldwide sales. I'm guessing we'll hear about those numbers soon. But we aren't even a week in really. Sure we have all the pre-orders (I am assuming) that will count there in that total. It was released on Friday and it is only Monday. I really like the way the score kicks in the moment you start swinging, and then fades back out when you stop. It's a small detail but it really contributes to the feel of the game. My gripe with the score is there’s not quite enough variety. It sounds very same-y throughout even if there is a change between acts. I feel the score is one of the weaker overall parts of the game. Thanks for the clarification. I still wonder with the popularity of this game if this ends up being Phase 1 of a broader Marvel gaming franchise, even if it's just through Sony. Oo, oo, get Sony to get Insomniac to make a Hulk: Ultimate Destruction game! 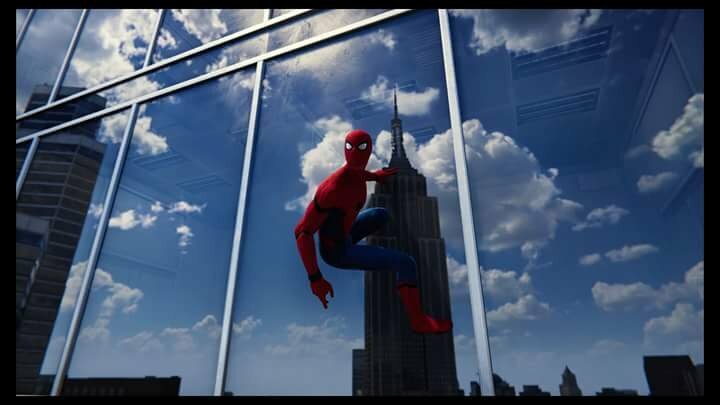 Same Spidey engine, but with mashing and super jump! Allegedly, Marvel is looking to build some kind of video game universe similar to its cinematic one. The forthcoming Avengers games from Square-Enix are supposed to be part of that. I don't know if Spider-Man is or not, but it wouldn't surprise me. Everybody wants money; that's why they call it money. Just beat the game and that ending is very satisfying and really well acted. Unbelievable game best super hero game I've played. I'm fairly sure the devs for the Avengers is Eidos Montreal, so we should start hearing more about that soon now that both Spidey's out and EM's Shadow of the Tomb Raider releases later this week. Also, it's been patched to version 1.05. I spent a good 3 1/2 hours with the game tonight. I only played a bit before. I found some of the web swinging to be a tad "loose" feeling. But once you start upgrading things to increase your speed and such, man does this game start kicking into high gear. I am playing it on Spectacular difficulty, which is really making some of the fights frustrating. But once again, as I slowly upgrade Spidey and his suits, it gets to be more manageable. I am still having an issue with how kinetic the fights are and keeping track of where all the enemies are at. I tend to get sucker-punched or get a rocket to the head from a guy that I didn't even know was there. That feels a tad unfair, but in general, I am absolutely loving this game. I have barely progressed the story at all, instead, I've been doing landmark pictures, backpack collectibles, and occasionally crime missions. I just love the amount of care for the character that went into this thing. It oozes Spider-Man and a respect for that character. For example, how knocking bad guys off the buildings...they will get automatically webbed to the side of the building...stuff like that is just damn cool. I will also add how awesome it is to hear the score swell when making the initial jump to start swinging. I've been enjoying the game quite a bit, and one thing I really like, that hasn't been mentioned, is Spideys walking animation. It encapsulates so perfectly his character, the nonchalant sashaying without a care in the world. I can't really remember the last time I mainline'd a game like this. I opened up the entire Manhatten with the signal towers tonight, knocked out all of the Fisk stealth stuff (or at least what I can access at this point, for some reason I think there may be more), took pictures of all the landmarks, and collected all of the backpacks. I know there will be plenty of side mission stuff, but considering how early I am in the story I've gotten a lot done. Fun Spider-detail: After seeing it happen a few dozen times and thinking it kinda funny, I posted this video of Spider-Man kicking a guy off of a skyscraper, commenting on how Spider-Man doesn't kill so I'm sure this guy survived his 50-story fall just fine. I got a reply noting that actually, the bad guy is likely webbed up nearby, so I went to explore. Sure enough, I found him webbed to the top of the nearest ledge (which was on the other side of the street and probably 30 stories down). That's some quality attention to detail, even if the physics don't make a lot of sense (even with webby cushioning, a 30-story fall is probably fatal! ), and without a throwaway line by Spidey referencing that he's taking care not to kill these people, I'm not sure why they bother, but anyways, I thought that was neat. "Those Men Could Have Died"
Just beat the game and that ended is very satisfying and really well acted. Unbelievable game best super hero game I've played. New Game Plus coming eventually. I think the Advanced Suit's finally growing on me. The latest Spider-Man game for PlayStation 4 has been earning high praise from fans for not only its attention to detail, but also for its efforts to be more inclusive. 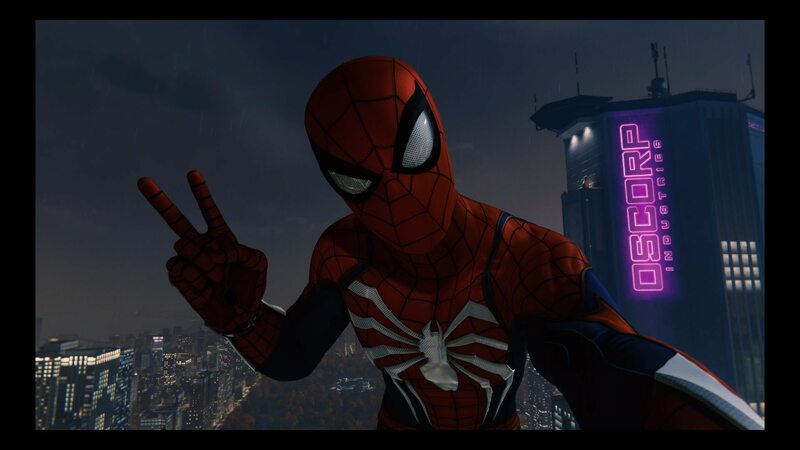 The game is set in Spidey's beloved Manhattan and features Pride flags, a diverse cast of characters, and even a social media feed for Peter Parker that includes messages in Spanish. It's honestly my favourite of the bunch (that I've unlocked so far). I keep trying other ones and none of them are as nice.